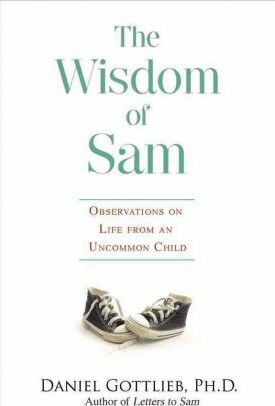 The Wisdom of Sam celebrates the precious gifts of life and the innocence of childhood. At the book's heart is the story of a grandfather and his remarkable grandson, who share an indelible bond. Each one faces a unique set of challenges--quadriplegia and autism. But the differences in age, outlook, and experience soon vanish as this extraordinary pair share universal truths about empathy, compassion, and forgiveness. After a near-fatal accident rendered him paralyzed, Daniel Gottlieb came to understand the importance of patience, acceptance, gratitude, and hope--qualities he sought to teach his young grandson, Sam. Yet when Gottlieb least expected it, their roles reversed and the student became the teacher. Sam's observations on his experiences--everything from grieving the loss of a beloved pet to facing his first night away from home--provide simple yet profound lessons on life, death, courage, fun, uncertainty, and joy. These lessons are gentle reminders of what we once knew, what we often take for granted, and what matters most. Psychologist Daniel Gottlieb, Ph.D., is the internationally acclaimed author of Letters to Sam and Learning from the Heart, which have been published in 15 languages and received worldwide attention. In 2009, in the U.S., he was the recipient of the Books for a Better Life Award for Learning from the Heart. Gottlieb is also the author of Family Matters and Voices of Conflict; Voices of Healing. He hosts an award-winning mental health call-in program, Voices in the Family, on the public radio station WHYY 90.9 FM in Philadelphia; writes a weekly blog on the website of The Christopher and Dana Reeve Foundation; and is a contributor to the "Living" section on The Huffington Post. A sought-after speaker on family and social issues, he lectures locally and nationally on a variety of topics affecting the well-being of communities.